FREE Pictures with Black Santa at Cincinnati Art Museum - We Are Walnut Hills! 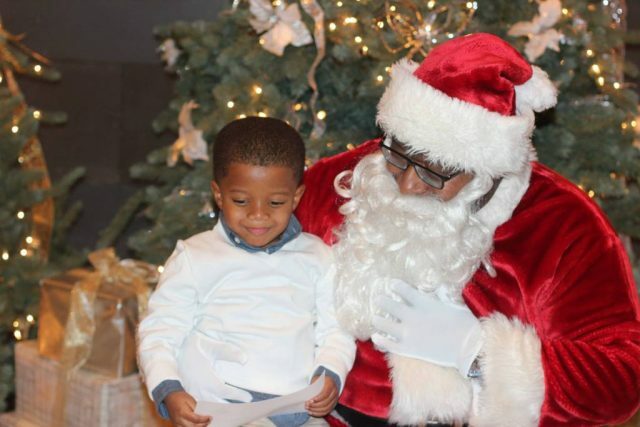 Cincinnati Black Santa Claus is coming to town! He will be greeting children of all ages, reviewing their Christmas lists, and taking pictures by the tree. Thanks to the generous support of The Voice of Your Customer, visits with Santa are FREE and open to the public. Parents are welcome to take pictures. Parents will also have the option to view and download hi-resolution images on The Voice of Black Cincinnati Facebook page. Remember to arrive early; Cincinnati Art Museum opens at 11a.